WE COME TO YOU AND YOUR PRIDE & JOY! Cars and motor homes! Your pride and joy is our pride and joy! YOUR PRIDE & JOY IS OUR PRIDE & JOY! Here at Pride&Joy, we pride ourselves on ensuring customer satisfaction at the best price. We know to come to us isn’t always convenient or to risk damage to your car or motorhome en-route. With that in mind, let us come to you! We have a fully mobile workshop, which services the whole of England and Wales. For more local customers we also have a workshop based in Bristol, serving Bath, Cardiff, Newport and the whole of the South West and Wales. Our Professional fitters are all Factory trained to ensure the highest standard of work possible, backed up by our massive 10 years product warranty. Not only do we stand out as one of the only companies in the UK to provide a fully mobile PPF (Paint Protection Film) service, we are also one of the only companies that protects Motorhomes, as well as Cars. Being one of the only companies covering the motorhome, camper, and day van market, we have specialist bespoke equipment to ensure the best standard of work possible. We use a market leading paint protection film, manufactured by our partner, Xpel. Using their Matte STEALTH & Clear ULTIMATE films, we can provide the best coverage and quality of fitment possible. Both the matte finish STEALTH and the clear finish ULTIMATE paint protection films provide a stunning, high quality shield to your all-important original paint work and most importantly, your financial investment. Why take the risk of leaving your beautiful original paintwork unprotected, possibly incurring expensive body shop repairs and the loss of your original paintwork? Many people have their cars and motorhomes Valeted and Detailed. This does not protect the paint work from debris such as stones, tar, bugs, and scratches. With PPF installed, there is no need to worry about damage from everyday use, such as stone chips. PPF acts as a shield to your paint work. There is no need to worry about paint fade, as the film protects against UV light! PPF also makes life easier when cleaning your vehicle. With its glossy finish, dirt and debris just wipe off with ease. With our 3 packages available, you can have your bumper and bonnet covered in paint protection film, full front end or the whole vehicle, with the option of a tailored package. We understand what our customers want, and the quality required to fulfil expectations. We can beat the rate of any vehicle manufacturer and main dealers alike. All at very competitive prices! Let us protect your valuable investment… Your Pride&Joy is our Pride&Joy! We have an extensive knowledge regarding the fitment of Paint Protection Film. We have factory trained technicians to ensue the very best service and application of the film. We have the precise computer cut patterns for the majority of the most popular Motorhome cabs in the UK. We have a fantastic mobile facility that we can bring to you! Don’t lose sight of your Pride and Joy whilst we work on it. Take a look at some of the Paint Protection Film projects we have undertaken using our mobile fitting service all around the UK. How we can protect your Pride & Joy! Motorhomes are especially vulnerable to airborne Debris damage due to to area size that makes up the complete front end of the unit. 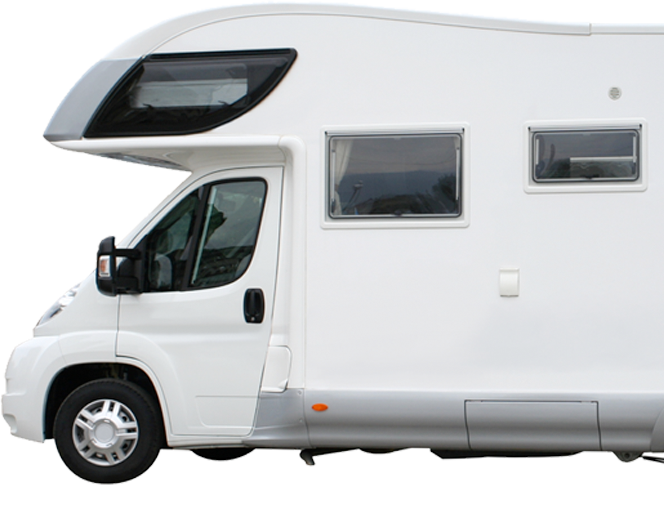 Damage from stone chips, through to Bird poo and Bug stains can produce the tired looking effect of an unprotected Motorhome, thus in turn hit its value hard. Paint Protection Film has been specifically designed to keep your vehicle’s painted finishes looking great.This film is used by Manufactures and Owners alike to protect the exterior paintwork and Plastics on their vehicles.